We got recognized by DOLE! – Read about anything and everything TeamAsia in this little nook of ours! We got recognized by DOLE! Last Wednesday, we were recognized by the Department of Labor and Employment as one of the most compliant companies to the general labor standards. We also got a certificate of compliance for following occupational safety and health standards. 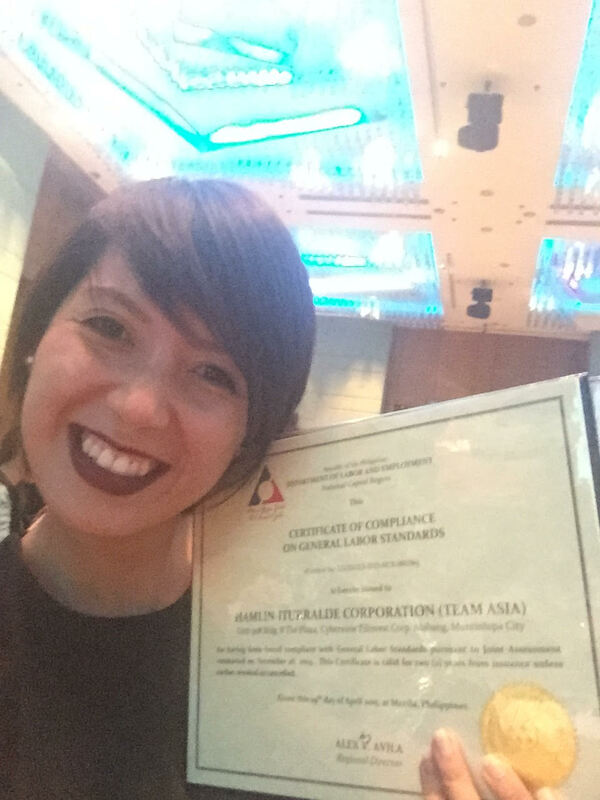 We are so happy to be recognized because of the work we are doing to improve the lives of our TA wonders because they are at the heart of everything we do here at TeamAsia. TeamAsia is one of the first 18 companies recognized by DOLE out of the 288 member companies of the Information Technology and Business Process Management Association of the Philippines. The award was received by TeamAsia managing director, Bea Lim, last April 29.